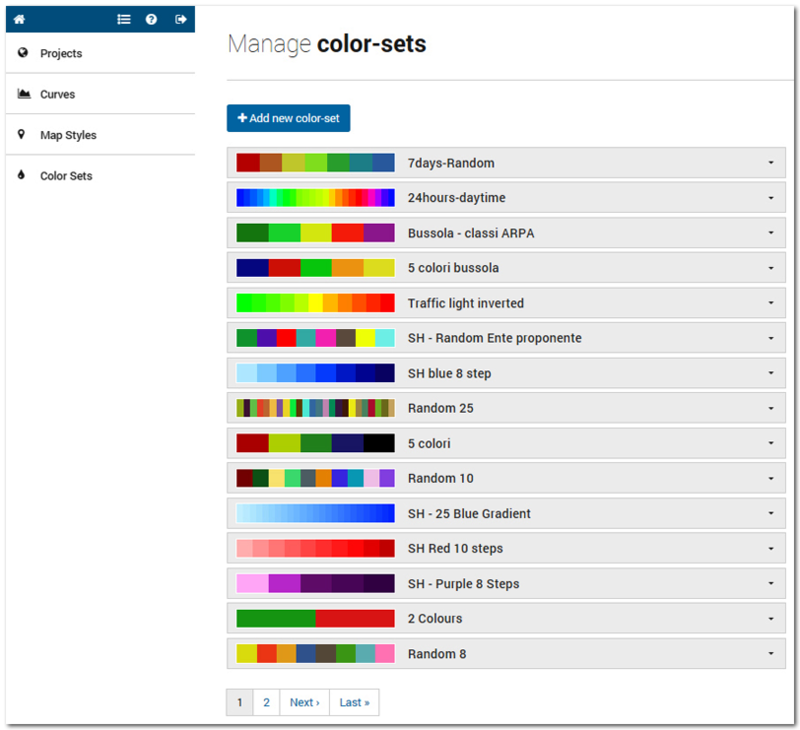 A specific menu for colour-set management is available in order to choose the map style to be assigned to each layer when selected. Here, project contributors users can choose, edit or create a specific set of colour to be assigned to a specific field of data. This set of colours will be visible when the final user will click on the fill icon near each layer name on the front-end interface. The menu for the color-sets management. Blending: choose the number of colours (Color steps) and the key colours to be used for creating a graduated scale. Random: choose the number of random colours you need and click to update the view. Clicking on the coulour you can change it. If you need to change an existing color set, click on the arrow near the color set name and click on the edit icon. WARNING! In changing a color set, verify that the color set is not used by other projects. If so, please, build a NEW color set in order to not damage other project.